SOLARUN is a professional manufacturer of solar mounting systems. 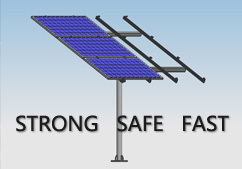 We develops, manufactures,and delivers the world's most reliable and cost-effective solar mounting solutions. We have been one famous solar mounting producer through provide high quality products and prime service.